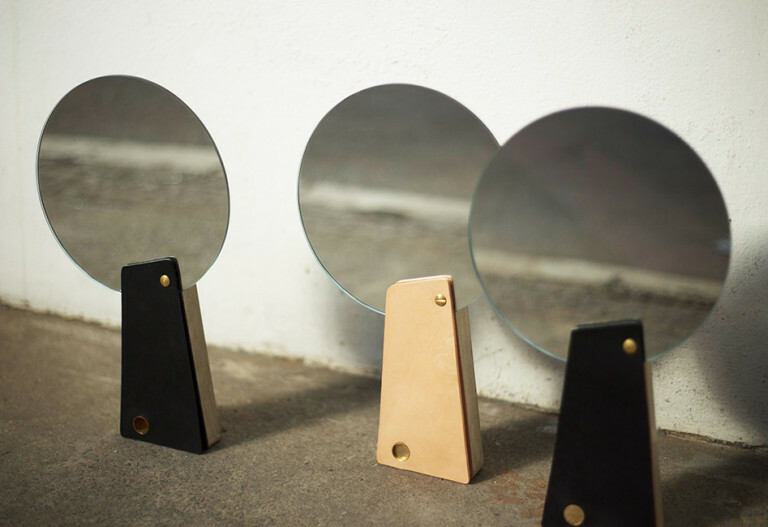 The design of the 3-Fold Mirror derived from a traditional hand mirror. 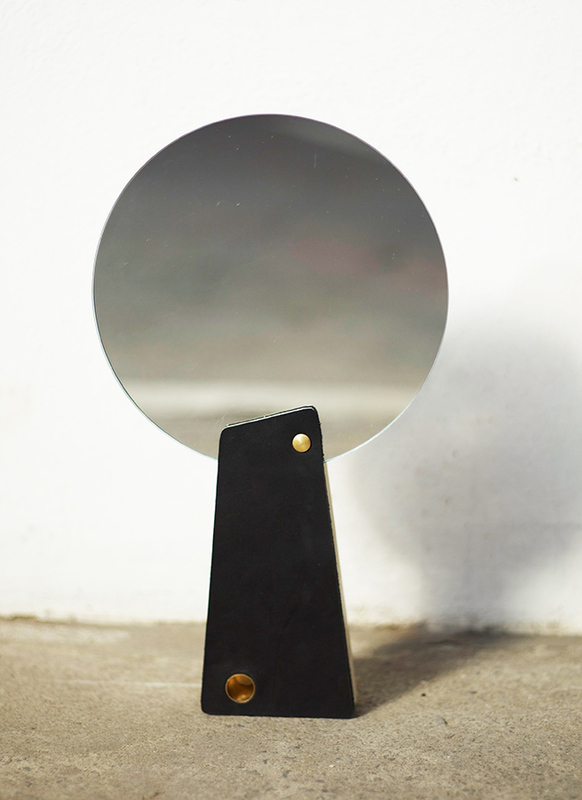 The piece is made out of three components; a concrete base (the handle), the mirror and a leather envelope. 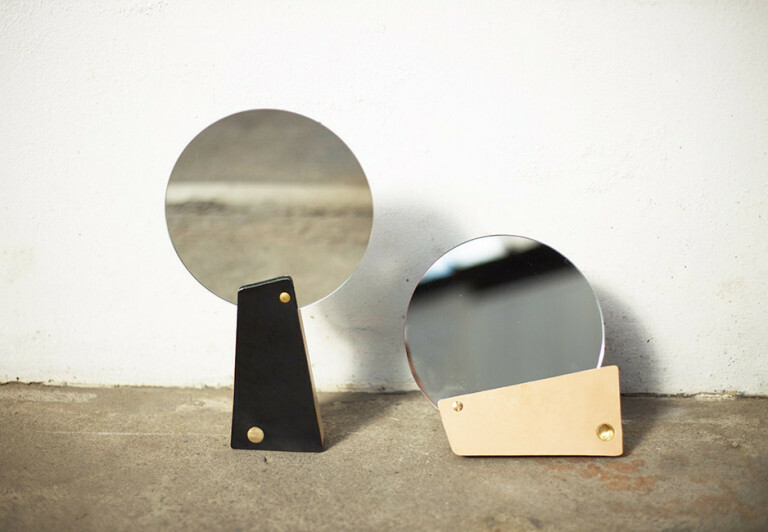 Eisenkoecks’ key approach to create designs that are multifunctional is visible in the 3-folding positions. 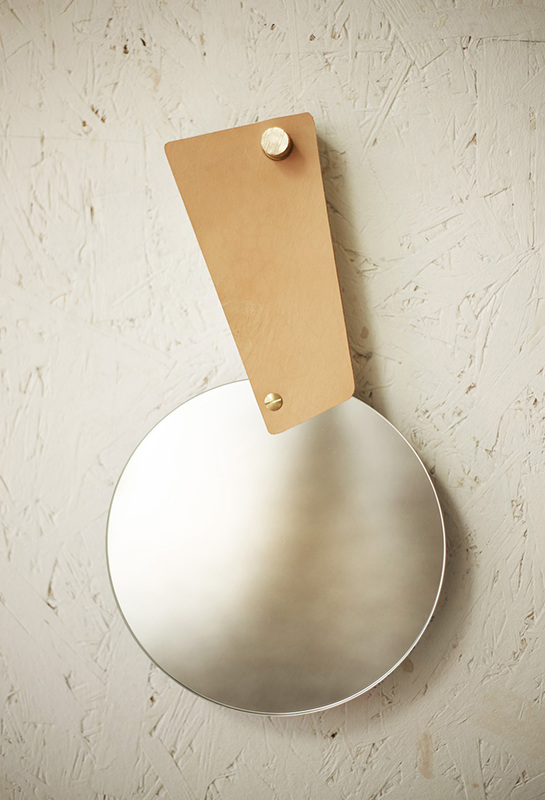 The concrete arm allows the mirror to be rotated out standing upright, folded in leaning back or hung against the wall. 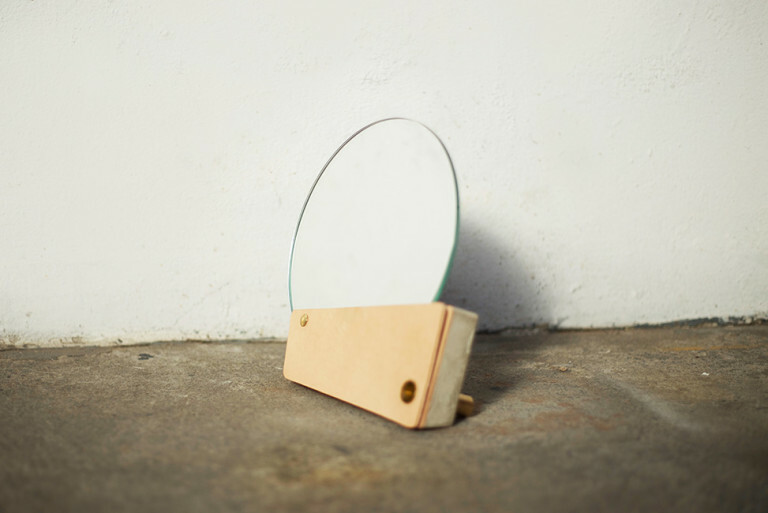 The piece was developed out of the quest for a diverse hand mirror, an easy hanging and folding system allows it to be transformed to ist users needs. 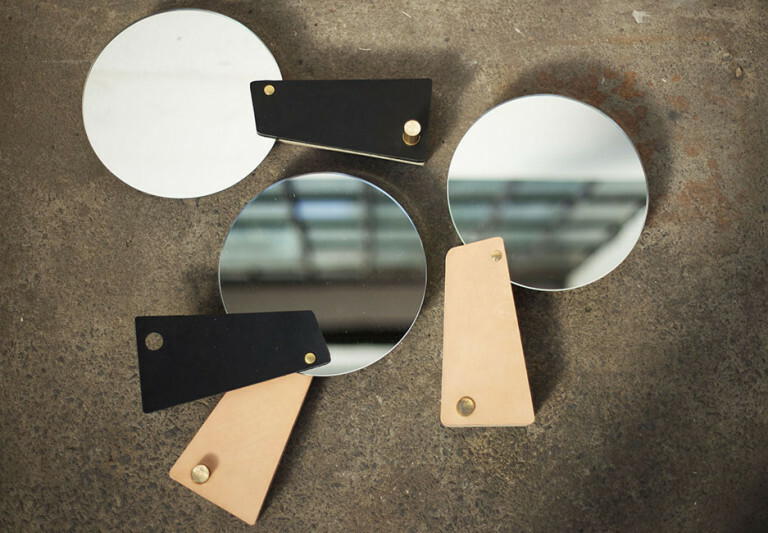 The mirror is entirely hand made in Eisenkoecks studio in east London, they come in three versions, black leather, natural tan or both.